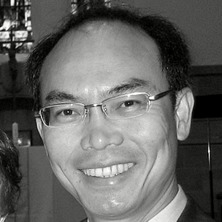 Richard Lim, MBBS(Hons), MRCP(UK), MD, MPhil, FRCP(London), FESC, FACC, FCSANZ, a Full-Time Interventional Cardiologist at The Princess Alexandra Hospital Brisbane since July 1997 and Associate Professor of Medicine at The University of Queensland, graduated 1984 from the University of Newcastle upon Tyne UK, undertaking cardiology training and research degrees at St Bartholomew’s Hospital London (1989–94) then sub-specialty training at Royal Hull & East Yorkshire Hospitals (1994-96), gaining the UK Certificate of Completion of Specialist Training (CCST) in 1996. After a year acquiring expertise in coronary IVUS, pressure wire and atherectomy procedures as Senior Post-Doctoral Interventional Fellow at the University of Maryland Hospital in Baltimore USA, he was appointed to The Princess Alexandra Hospital, a major tertiary teaching hospital in Australia, where he performed the first PCI in 1998. That same year, he became a Fellow of the American College of Cardiology and in 1999 Fellow of the European Society of Cardiology. In 2009, he received the CIT Contribution Award in recognition of outstanding contribution and continuing dedication to the development of interventional cardiology in China. His research Doctorate and Masters whilst at Barts focussed on prognosis in coronary artery disease; this as well as quality improvement in percutaneous coronary intervention and STEMI management remain his major research interests. Laskey, WK, Zawacki, K, Lim, R and Herzog, W (1999) Effects of local heparin administration on coronary thrombin activity during percutaneous transluminal coronary angioplasty. Catheterization and Cardiovascular Interventions, 48 1: 84-88. DYMOND, DS and LIM, R (1994) DEFINING EMERGENCY AND URGENCY - THE DOMINO EFFECT. Journal of the Royal College of Physicians of London, 28 4: 286-287. LIM, R, KREIDIEH, , DYKE, L, THOMAS, J and DYMOND, DS (1994) EXERCISE TESTING WITHOUT INTERRUPTION OF MEDICATION FOR REFINING THE SELECTION OF MILDLY SYMPTOMATIC PATIENTS FOR PROGNOSTIC CORONARY ANGIOGRAPHY. British Heart Journal, 71 4: 334-340. LIM, R, DYKE, L, THOMAS, J and DYMOND, DS (1993) NOVEL-APPROACH TO THE INTERPRETATION OF LONG-TERM DETERIORATION IN EJECTION FRACTION IN INDIVIDUAL PATIENTS WITH CORONARY-ARTERY DISEASE. British Heart Journal, 70 3: 226-232. LIM, R, KREIDIEH, and DYMOND, DS (1991) DO ROUTINE CLINIC VISITS PREVENT DE-STABILIZATION IN PATIENTS AWAITING CORONARY REVASCULARIZATION. Journal of the Royal Society of Medicine, 84 11: 660-661. LIM, R and PATERSON, IC (1990) APPARENT RELAPSE OF LEGIONELLA PNEUMONIA. British Journal of Clinical Practice, 44 9: 375-375. LIM, R and WILSON, DTR (1990) ABOLITION OF ELECTROCARDIOGRAPHIC PATTERN OF LEFT-VENTRICULAR ANEURYSM BY POSTERIOR MYOCARDIAL-INFARCTION. British Journal of Clinical Practice, 44 8: 328-329. LIM, R, DESOUZA, AD and BEGGS, D (1990) NEUROFIBROSARCOMA PRESENTING AS SPONTANEOUS HEMOTHORAX. British Journal of Clinical Practice, 44 7: 289-291. LIM, R (1989) IDIOPATHIC HYPOPARATHYROIDISM PRESENTING AS THE NEUROLEPTIC MALIGNANT SYNDROME. British Journal of Hospital Medicine, 41 2: 182-182. Does over-aggressive stent expansion without IVUS guidance predispose to restenosis? Franklin, K., Anderson, V., Lim, R. and Marwick, T. H. (2002). Non-invasive risk stratification in uncomplicated acute coronary syndromes is associated with less revascularization but equivalent outcomes to angiographic evaluation. In: William Parmley, Journal of the American College of Cardiology. XIV World Congress of Cardiology, Sydney, Australia, (281B-281B). 5th - 9th May, 2002. Khoury, Vincent, Spicer, Danielle, Lim, Richard and Marwick, Thomas (2001). Revascularization reduces remodelling in patients with viable myocardium after infarction. In: Journal of the American College of Cardiology. ACC 50th Annual Scientific Session, Orlando , Florida, USA, (389A-389A). 18th - 21st March, 2001. Marwick, T. H., Haluska, B. A., Short, L., Lim, R. and Garrahy, P. (2000). Prediction of TIMI flow using ECG analysis and contrast echo in acute infarction. In: James T Willerson, Circulation: American Heart Association Scientific Sessions 2000. American Heart Association Scientific Sessions 2000, New Orleans, USA, (II-747-II-747). 12-15 Nov, 2000. Cain, P. A., Spicer, D., Baglin, T., Lim, R. and Marwick, T. H. (2000). Tissue doppler response to dobutamine correlates with recovery of regional dysfunction over follow-up. In: James T Willerson, Circulation: American Heart Association Scientific Sessions 2000. American Heart Association Scientific Sessions 2000, New Orleans, USA, (II-632-II-632). 12-15 Nov, 2000. Current guidelines for DC cardioversion of atrial fibrillation: Low energy or low efficacy? Walters, MI, Wright, M, Lim, R, Norell, MS and Caplin, JL (1996). Current guidelines for DC cardioversion of atrial fibrillation: Low energy or low efficacy?. In: , , (146-146). .
LIM, R, KREIDIEH, and DYMOND, DS (1995). ESTIMATING A MAXIMUM WAITING TIME FOR CORONARY BALLOON ANGIOPLASTY BASED ON PROCEDURAL OUTCOME. In: , , (2953-2953). .
LIM, R, ANDERSON, H, WALTERS, M, KAYE, G, NORELL, M and CAPLIN, J (1995). RANDOMIZED STUDY OF BED REST DURATION AND FEMORAL COMPLICATIONS AFTER CORONARY ARTERIOGRAPHY. In: , , (3113-3113). .
LIM, R, BURN, S, WALTERS, M, BUTTON, , SCHILLING, R, PANTING, J, KAYE, G, CAPLIN, J and NORELL, M (1995). REFERRALS TO A RAPID ACCESS CHEST PAIN CLINIC - DO CARDIOLOGISTS AND PRIMARY-CARE PHYSICIANS AGREE ON THE NEED FOR HOSPITAL ADMISSION. In: , , (3254-3254). .
LIM, R, KREIDIEH, , DYKE, L and DYMOND, DS (1993). EXERCISE TESTING ON MEDICATION FOR REFINING THE SELECTION OF MILDLY SYMPTOMATIC PATIENTS FOR PROGNOSTIC CORONARY ANGIOGRAPHY. In: , , (64-64). .
LIM, R, DYKE, L and DYMOND, DS (1992). DOES EASILY INDUCIBLE SILENT-MYOCARDIAL-ISCHEMIA LEAD TO SILENT DETERIORATION OF LEFT-VENTRICULAR SYSTOLIC FUNCTION. In: , , (189-189). .
LIM, R, DYKE, L and DYMOND, DS (1992). SHOULD ANTIANGINAL MEDICATION BE WITHDRAWN FOR EXERCISE RADIONUCLIDE ANGIOGRAPHY WHEN CORONARY-DISEASE IS LIKELY. In: , , (468-468). .
LIM, R, DYKE, L and DYMOND, DS (1992). DOES EASILY INDUCIBLE SILENT-MYOCARDIAL-ISCHEMIA LEAD TO ASYMPTOMATIC DETERIORATION OF LEFT-VENTRICULAR SYSTOLIC FUNCTION. In: , , (672-672). .
LIM, R, DYKE, L and DYMOND, DS (1992). THE PREDICTABILITY OF SERIAL EJECTION FRACTION MEASUREMENTS BY 1ST-PASS EXERCISE RADIONUCLIDE VENTRICULOGRAPHY - RELEVANCE TO LONG-TERM FOLLOW-UP OF CORONARY-ARTERY DISEASE. In: , , (672-672). .
WALSHAW, MJ, LIM, R, EVANS, CC and HIND, CRK (1988). IS THE PACKED CELL-VOLUME A USEFUL GUIDE TO THERAPY IN PATIENTS UNDERGOING LONG-TERM OXYGEN-THERAPY. In: , , (P860-P860). .
WALSHAW, MJ, LIM, R, EVANS, CC and HIND, CRK (1988). PRESCRIPTION OF OXYGEN CONCENTRATORS FOR LONG-TERM OXYGEN-THERAPY IN THE LIVERPOOL DISTRICT - ARE THE PATIENTS COMPLYING WITH THEIR THERAPY. In: , , (P859-P859). .
WALSHAW, MJ, LIM, R, EVANS, CC and HIND, CRK (1988). PRESCRIPTION OF OXYGEN CONCENTRATORS FOR LONG-TERM OXYGEN-THERAPY IN THE LIVERPOOL DISTRICT - ARE THE PATIENTS ELIGIBLE. In: , , (P859-P859). .
LIM, R, WALSHAW, MJ, SALTISSI, S and HIND, CRK (1988). SILENT MYOCARDIAL ISCHEMIA DURING ACUTE EXACERBATIONS OF CHRONIC AIR-FLOW LIMITATION. In: , , (P829-P829). .